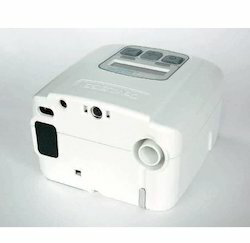 We are a leading Wholesale Supplier of sleepcube standard cpap machine from Mumbai, India. We are well known enterprise engaged in offering highly demanded Sleepcube Standard. Our experts are well versed with the highly advanced continuous airway pressure therapy and have taken special consideration to the demanding specifications of people suffering from obstructive sleep disorders. The offered model is the ideal solution for sleep therapy as the device is fitted with advanced quality components to provide a fixed pressure throughout the night. Developed by industry leading entities the offered machine is available at a market leading price and we are providing it with assurance of timely delivery.